Have you heard about it – the large patch of floating plastic in the middle of the Pacific Ocean. It’s there, it’s real and what you may not know is that it’s not made up of plastic bags and empty bottles. It’s made up of billions of tiny pieces of plastic, and it’s basically invisible unless you’re floating in it. While this might seem better to be in tiny pieces, it’s actually much worse for the environment—and for you. 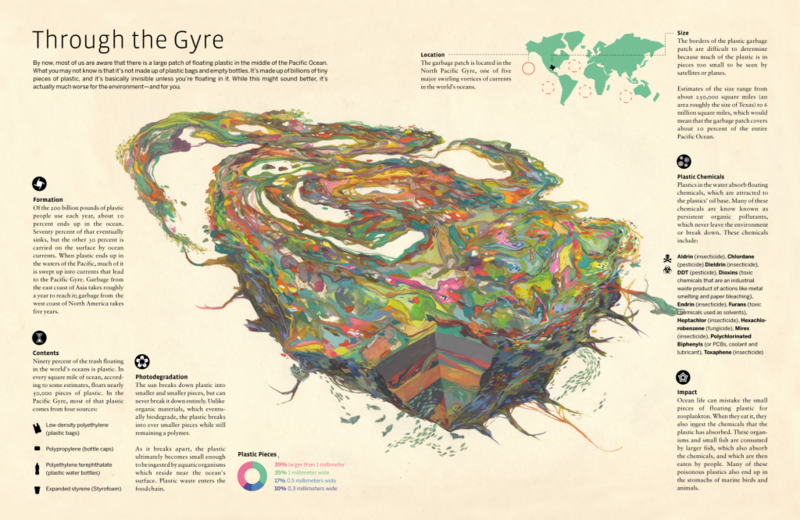 The great team at GOOD, develop this Transparency – a look at the Pacific Gyre and the plastic floating in it. What do you think? How can we help minimize plastic in our oceans?